My road trip around the state of California! Grumpy and I visited San Fransisco, before driving via Sacramento to ski at Squaw Valley, Lake Tahoe. After that, we travelled down to Yosemite and eventually, finished up in L.A.
Once the main portion of the trip was over, the real fun was about to begin as we finished up in Anaheim to visit the original Disneyland Resort. Hey! 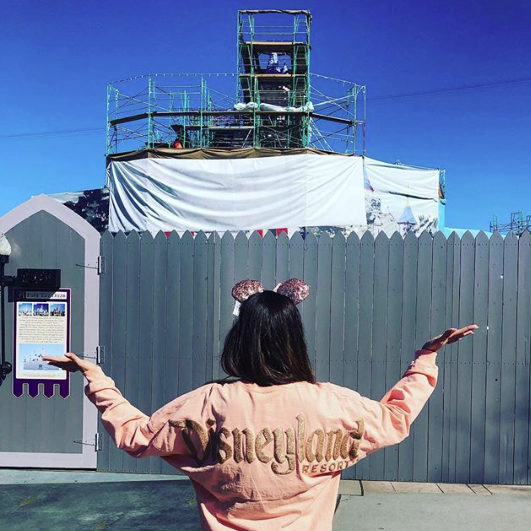 What happened to the Castle? As a super Disney fan, I was really excited to visit the original park that Walt had created himself, and I can't wait to share my experience with you all. Enjoy! And don't forget to leave me a message in the comments if you like or, for more on my trip, be sure to check out Episode 2, California over on the ChatDisney podcast. Grumpy and I arrived at our hotel at around 3pm. After checking in, we decided to head to Downtown Disney so that we could assess how far away we were staying from the parks... and so that I could buy a little merchandise too! After a very short 12 minute walk, we arrived at Disneyland and headed straight into Downtown Disney. We left Disneyland a few hours later, with a few more bags than perhaps anticipated! After Downtown Disney, we headed back in the direction of our hotel and decided to have dinner at Cheesecake Factory. After some yummy food, cocktails and of course, cheesecake, Grumpy and I went back to the hotel to get some rest ahead of an early start the next morning. 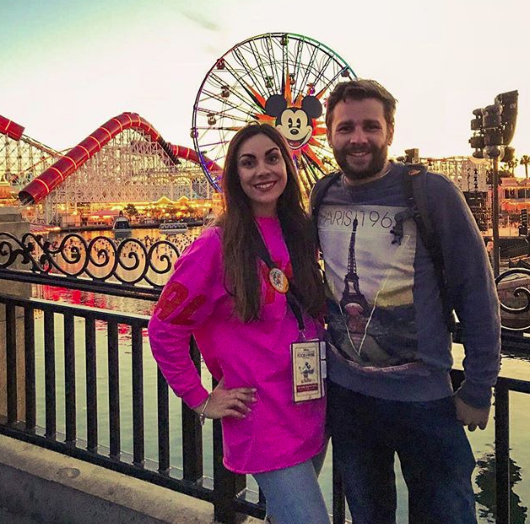 We decided to visit Disney's California Adventure (DCA) rather than Disneyland on our first park day as it was a Thursday, so there wouldn't be any fireworks or Fantasmic! shows in Disneyland - these only take place Friday, Saturday and Sunday. When we arrived at the park at 7.45am, ahead of rope drop, we headed straight towards the Radiator Springs Racers attraction to get Fastpasses, as this ride is notorious for having a major queue! After collecting our Fastpasses, we rode Guardians of The Galaxy: Mission Breakout twice as it had such a short queue! This quickly became a favourite attraction of ours and we would go on to ride it again (and again!) during our trip. 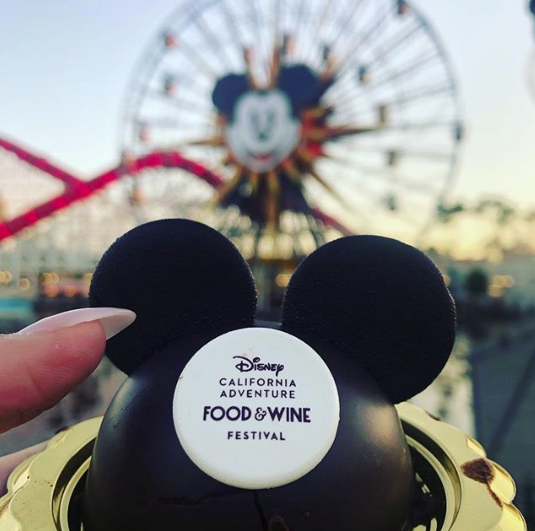 After doing a few attractions in the morning, we decided to immerse ourselves in the Food and Wine Festival at lunchtime, which was happening at DCA during our trip. We purchased the Sip 'n' Savour Pass which gave us eight tokens to use against food and non-alcoholic beverages of our choice at the Festival... and my oh my, we ate a lot! My favourites included the Salt and Vinegar Parmesan Chicken Wings, and the Ham and Cheese Pinwheel with Pistachio Nuts. Yum, yum, yum! Other favourite attractions at DCA included The Incredicoaster, Frozen Live! at The Hyperion, Soarin' and Toy Story Midway Mania. After a very long day in the park - walking, eating and drinking - we finished our day by watching World of Color and then heading back to our hotel. On the Friday, Grumpy and I visited the original Disneyland Park. As much as this park felt special and had a very unique vibe about it, some of the original attractions have become quite vintage... and I do not mean that in a good way! The Matterhorn and Space Mountain were both very uncomfortable rides and could do with some help in the 'smooth' coaster department! Favourite attractions at Disneyland included Star Tours: The Adventure Continues and The Haunted Mansion. We were also able to watch Mickey and The Magical Map, Mickey's Soundsational Parade, Mickey's Mix Magic with Fireworks and Fantasmic! during our day which made it even more special as I almost think I prefer the entertainment to the attractions at Disneyland sometimes! The food at Disneyland was also pretty good! We dined at Blue Bayou as part of the Fantasmic! Lunch Package to ensure that we had the best seats possible. I would highly recommend this package as we had the most wonderful view - and the lamb was delicious too! 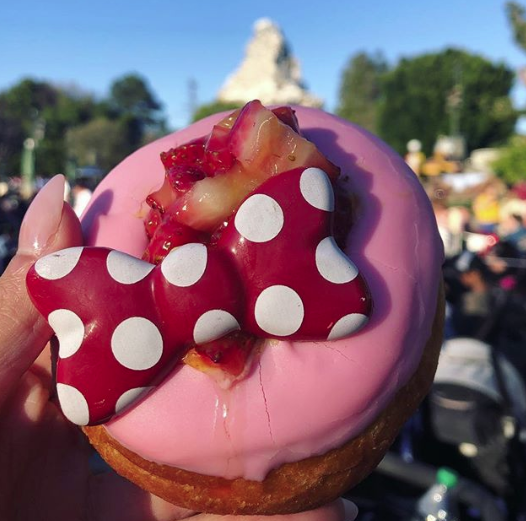 Other stand out treats included Dole Whip Float (I had the Pineapple and Raspberry Swirl), Mint Julep, Beef Baos from The Tropical Hideaway, and the Strawberry Lemonade Minnie Doughnut from the Doughnut Cart in front of Sleeping Beauty Castle. My final day in the parks was a pretty special one; I arrived at Main Street USA in Disneyland and headed towards the Tour Gardens at 9am for my Walk in Walt's Footsteps Tour. 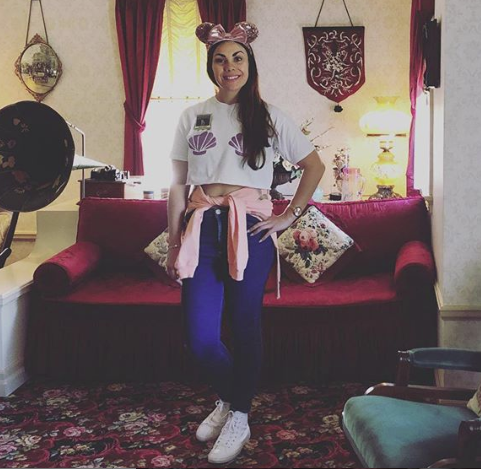 As part of the tour, not only did I get an incredible, factual tour guided experience around the park and a delicious lunch from the Jolly Holiday Bakery, I was also able to visit Walt's infamous apartment above the Fire Station. 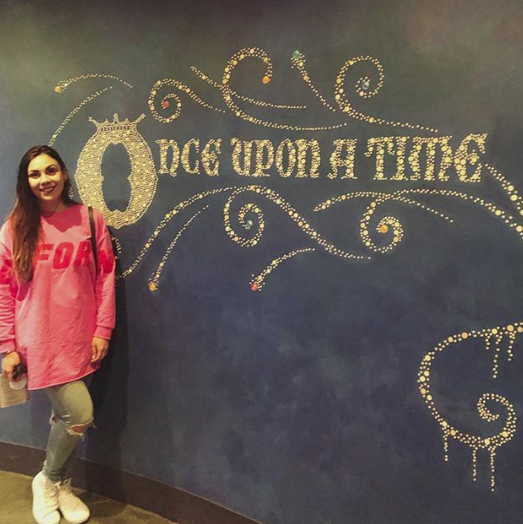 This was an amazing, once in a lifetime experience and I am very grateful to my Boyfriend for arranging and booking this for me as a Valentine's treat! In the afternoon, we headed back to DCA to ride some of our favourite attractions and use up those remaining Food and Wine tokens! We ended the evening back at Disneyland with one final ride of Star Tours, Fantasmic! and Fireworks before returning to our hotel for our last night's sleep in Anaheim. On our final day, much to my Boyfriend's dismay, we headed back to Downtown Disney on the last day to pick up a few more bits and pieces! I left Grumpy in Ralph Brennan's Jazz Kitchen with a pint as they were showing sport in the bar area on TV, and then I joined him for some beignets after I was done shopping! We made our way to LAX at around 2pm ahead of our flight back to the UK. There were lots of tears!